Welcome back! I am hoping you all had a great weekend and your week is starting off well. 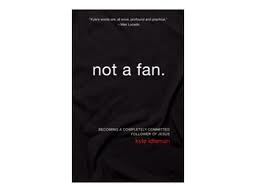 Last week we began our discussion of the book Not a Fan by Kyle Idleman. The premise of the book is whether or not we are truly followers (and not just fans) of Jesus Christ. Let us begin this week by defining the term fan. Did Kyle step on anyone else’s toes or just mine? That description above used to be me. I no longer walk away, but I do grow a little distance and I use my disappointment or frustration as an excuse to indulge in things I shouldn’t (read an inappropriate book, watch mindless TV, etc.). My pastor’s husband often calls the ministry of our church “full contact” ministry. I love it! It fits so well because more often than not true following leads to hurts, sacrifice, and pain on the mission field. Why? Well because ministry involves people-hurt people, and hurt people hurt people. Unfortunately, I believe there are more fans in our churches than followers. There are a great many more who know of Jesus than actually know Jesus, and they don’t understand the difference. Is your church a sanctuary or a stadium? Do you have a pastor who preaches the hard truth or likes to tickle ears? 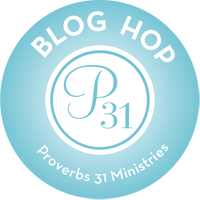 Is the holy spirit given free rein or are you more concerned what others will think? After all nobody wants to be “that weird church!” Is your church more concerned with ice cream socials than community service? It is easy to get caught up in fun creative ways to bring people in. After all, churches need people. Churches need to reach the lost. I have seen a great number of churches fool themselves by thinking they are reaching out to the lost with their church activities and such, but their real motivation is numbers. They want to be the biggest church in the area. They want the richest people in the community. After all, a church with money can help a lot more people, right? To tell you the truth, I would much rather go to a church with 6 people who truly want to be there and follow Jesus than a church of 10,000 who are there to just fill the stadium seats. Now, don’t think I forgot that outrageous statement Kyle made about the biggest threat being people who call themselves Christians but don’t really want to truly follow Christ! My college speech teacher would accuse Mr. Idleman of being over dramatic. This is our biggest threat? Seriously? Yes, in a lot of ways I think Mr. Idleman might be right. Why? Boy, some are not going to be happy with my answer: People who call themselves Christians but don’t want to walk in obedience are ruining it for others. Say what? Think about it for a minute. There are many churches and individuals who are only speaking on the love and grace of Jesus Christ. This narrow focus can be very misleading to fellow believers (new and old). Yes, grace is important. Yes, it is only through His grace that we can receive our salvation. Yes, it is only through His grace that we can even try to walk in obedience. I understand that rules and rituals don’t make up a relationship with Christ; however, I also understand that God does want us to be obedient to scripture. As I have said numerous times here at Getting Real, obedience is a product of our salvation; we don’t have works to be saved but because we are saved. Our love for our Father should motivate us to want to live righteously. You can’t preach God honest truth without teaching or preaching the ways of the Lord. If some churches are telling their people that they can be followers of Jesus Christ and yet live their lives anyway they want, they are going to get a lot more sign ups than those who are telling their people that following Jesus Christ is going to cost them something. Can you better now see why these types of “Christians” are a threat? I also want to touch briefly on the part about “getting close enough to Jesus for the benefits” things. This is something God really brought to my attention last week. Too many times, too often, I make church and my walk about what I can get from Jesus. If I do this God will bless me. If I do that, God will punish me. It too often becomes all about me and not nearly enough about God. How about you, do you ever find yourself in this place? A lot of people like to compare themselves to others around them; however, this is not an accurate stick by which to measure. Why? Because what others do should not change what Jesus requires of us. Religious rulers (the Pope) and such should not be used either because they are just people. Same goes for your Pastor and the “best Christians” you know. People fail; people let us down; God does not. I used to be quick to put people on pedestals and then I was surprised, sad, and mad when they fell off those pedestals. I had to learn the hard way that even the best of Christians are human like myself and have everyday struggles like myself. In order to determine if we are fan or followers it is most helpful to read our Bible (shocker I know). The Bible is full of stories of people who have had to answer the question, “fan or follower?” This is where we will be able to see the characteristics of fans and followers. Over the course of the subsequent chapter, Kyle will take us through some of these stories and it is my prayer that you will use these stories to better assess your own life; your own walk with the Lord, so that you will be able to answer the question , “fan or follower?, honestly and accurately. Missy, you are a great blessing to all true followers of Jesus.